Arnab Goswami Resigns Times Now: The senior journalist Arnab as resigned from his post of the Editor-in-Chief of Times Now, the channel famous for the Newshour Debate. He hasn’t made a single appearance on his prime time show in the past some days now. Reports say that he announced his resignation at an editorial meeting of the channel. Sources say that he did so in order to start his own news venture. However, the teasers of Newshours are regularly shown on the channel with the slug ‘Arnab Is Back’. The reports of Business Standard have come and state that he is planning to start his own news channel in collaboration of some politicians and entrepreneur Rajeev Chandrasekhar and American media baron Rupert Murdoch. The reports of him joining the Fox News couldn’t be verified. Goswami started his journalism career in 1994 with The Telegraph in Kolkata. In 1995, he joined NDTV and became one of the prominent faces along with Vikram Chandra and Rajdeep Sardesai. Later on, Arnab joined Times Now as its Editor-in-Chief in 2006. Since then, Arnab is known for his unique style of interrogative journalism. He has often been criticized for becoming judgemental on his news show. Arnab has a dedicated user base who loves his debates as well as who hate him. With the power of Goswami’s NewsHour, Times Now has sidelined a lot of old players in the English news space. This led Goswami to become the President of Times Now and ET Now. 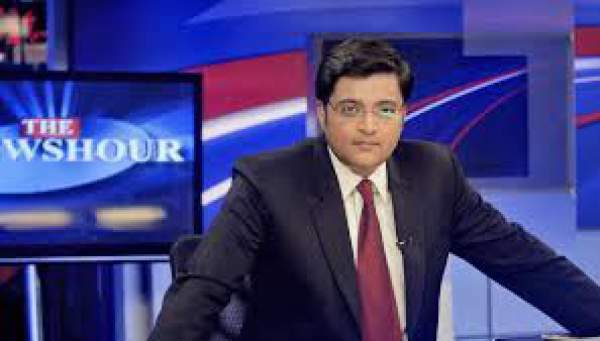 The recent reports suggest that Arnab is planning to come up again in the news industry with his news venture. In his farewell speech, he emphasized that the ‘game has just begun”. Goswami announced his resignation at the Times Now newsroom in Mumbai while others joined the meeting via video conference.